Katherine Lewis willow baskets we have in stock December 18, 2018: Click on the thumbnails for a larger view and price and size. Dimensions are approximate and are taken at the widest or longest part of the willow baskets. We do our best with photos of the baskets, but keep in mind that colors may vary with devices. If you have a strong preference or dislike on color, please let us know before purchase. Contact us if you want more info about any of these baskets for sale or would like to come by Dunbar Gardens to take a look at the baskets. We can also ship them. If you would like to know shipping costs, please provide a complete address of the delivery location. We accept payment by cash, check, credit card and PayPal. 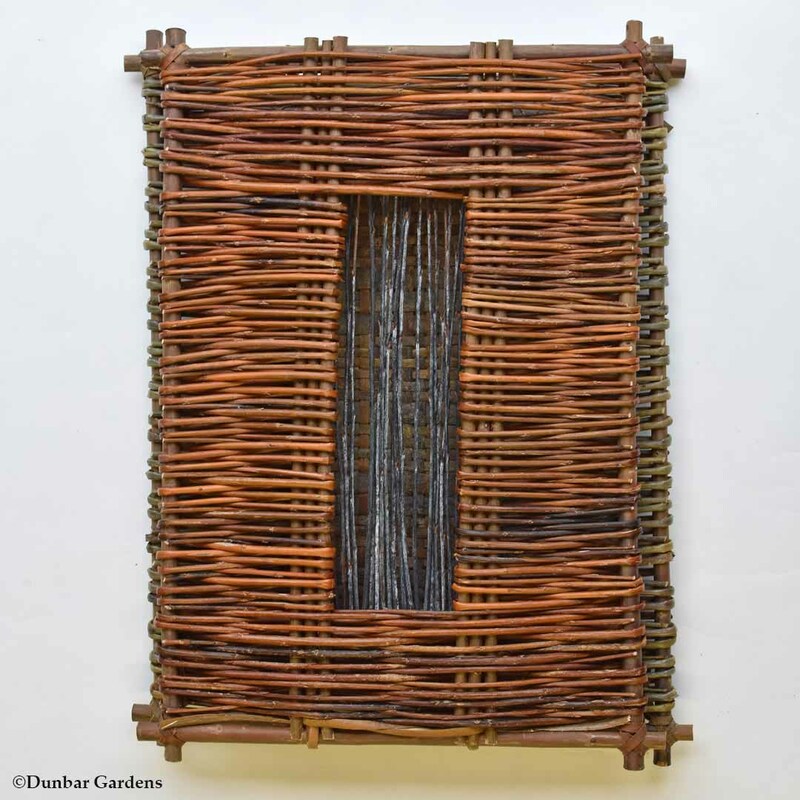 Full details about handcrafted willow baskets by Katherine Lewis are on the willow basket gallery page.